Easy meal for the family ! Mix together egg, honey (around 2ts), and mustard (around 1tsp) with a dash of water. 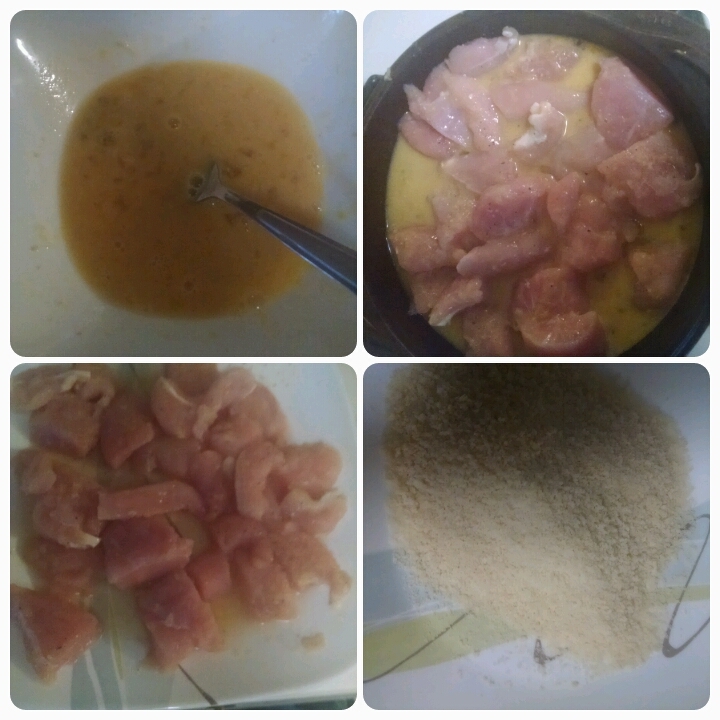 Combine chicken and egg mixture sit for 10 min. Bake at 375 for 10 min flipping half way through. Enjoy.